Saturday 27th July 2013 saw the Biaggio Signorelli Foundation’s Inaugural Gala Dinner in Melbourne, Victoria. 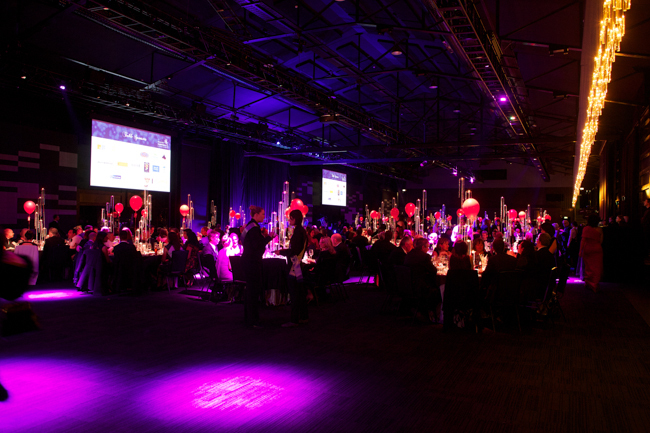 600 guests arrived at Atlantic Group’s Peninsula venue in Docklands Melbourne to create awareness, earlier detection and improved treatment, and ultimately find a cure for Mesothelioma (Asbestos Cancer). A stand out for many at this year’s Gala Dinner was the exclusive performance by world renowned artist Tina Arena who performed a special set of her best hits for attendees as a tribute to the Foundation. Hosting the night was the hilarious and loveable Vince Sorrenti who brought so much laughter and life to the night to help support this cause. To celebrate the occasion’s first time in Melbourne, all proceeds of the night will be donated locally to the Mesothelioma Research undertaken at the Olivia Newton-John Cancer and Wellness Centre at the Austin Hospital in Heidelberg, Melbourne. The foundation is committed to raising awareness, early detection, treatment and cure for the asbestos-related cancer (Mesothelioma) – the Signorelli family’s tribute to their father and the founder of Sydney’s Doltone House venue and catering collection, who passed away from the cancer in May 2008. “We are honoured to be carrying out my father’s dying wish to help save others from this cancer” said Paul Signorelli, Founding Chairman. We also heard from Victoria’s brave Mesothelioma sufferer, 49 year old Tracy Ash, who courageously shared her story on the night. “It started with a cough, I had a scan and by the time I got home there was a message on my phone to come straight back to the hospital”. As a part of the evening’s grand raffle, a brand new MINI ray car was given away to one lucky winner, in which proceeds of the raffle will be donated to the Olivia Newton-John Cancer and Wellness Centre. Key achievements of the Foundation to date have been the funding of three fellowships at the Asbestos Diseases Research Institute and The Baird Institute; along with the contribution to funding the National Guidelines for Diagnosis and Treatment of Mesothelioma. The Foundation was also awarded the 2011 Meetings and Events Australia Cause Related event of the year – Australia wide. For more information contact Biaggio Signorelli Foundation: 0418 488 164.